It means the other two might have gone into that direction too. 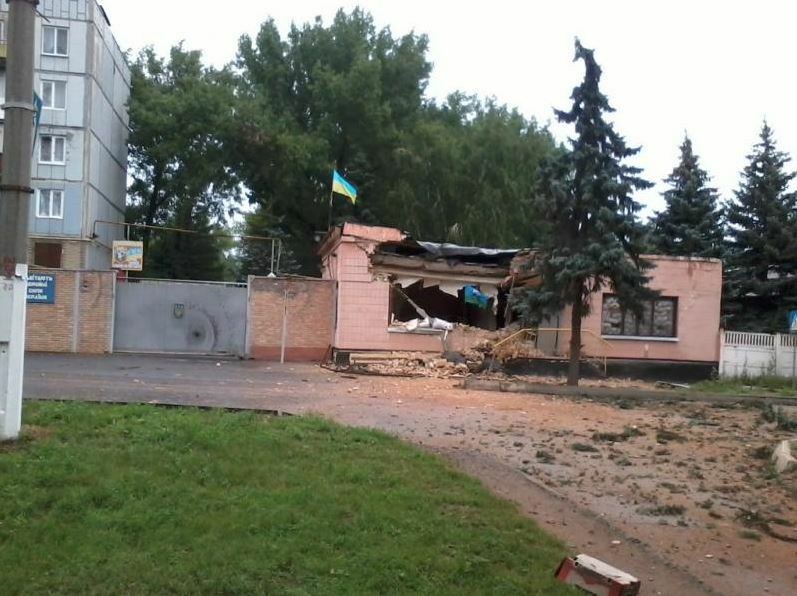 Here is a detailed report with photos. The location of that rebel hideout is here. 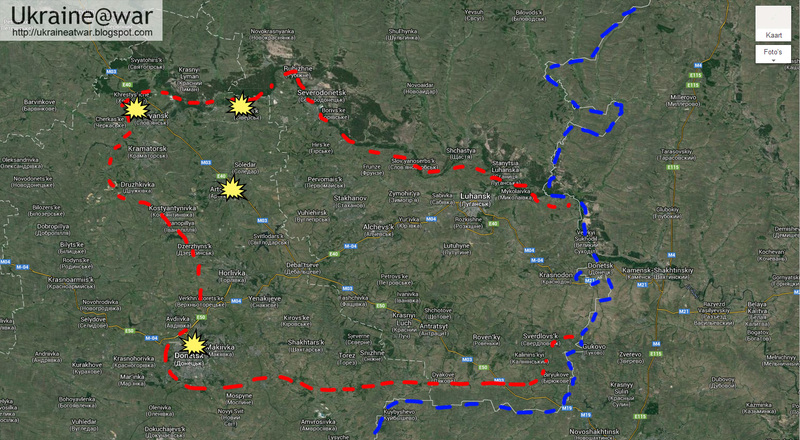 Assuming that they did not travel all the way from the Russian border in one day, all available tanks in the region might have been send there for an all out attack on Yampil very soon. 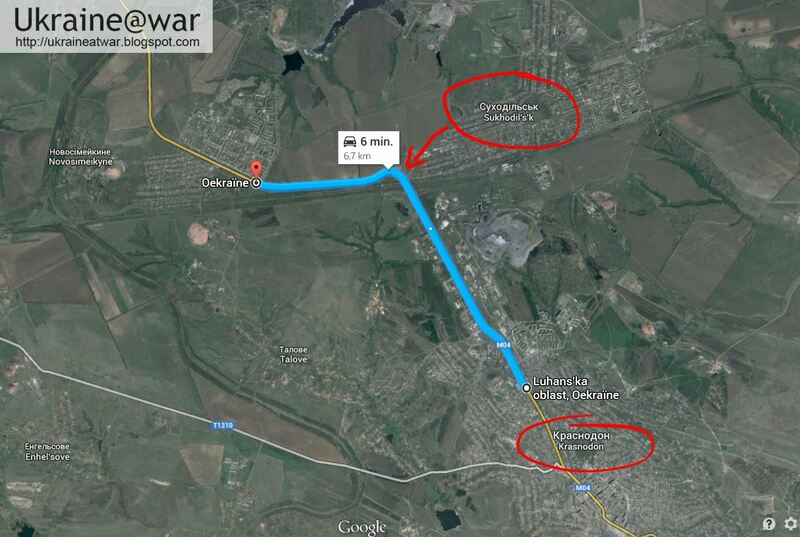 Information from locals tell us that 2 tanks and 1 APC where spotted in Suhodolsk and in Krasnodon 3 tanks and 1 APC. These could be independent sightings. 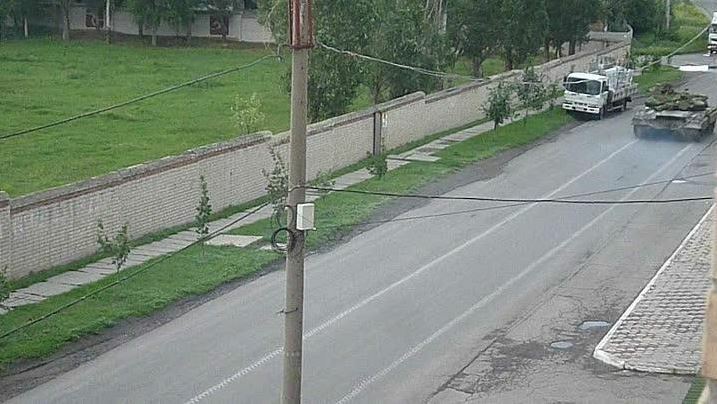 It could be the same convoy. 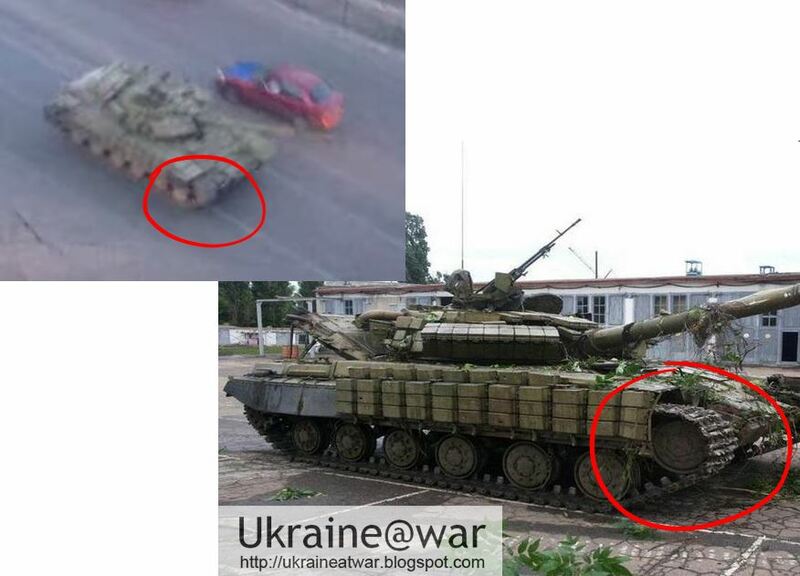 There is no confirmation yet, but these might be replacements for the two lost in Slovyansk. 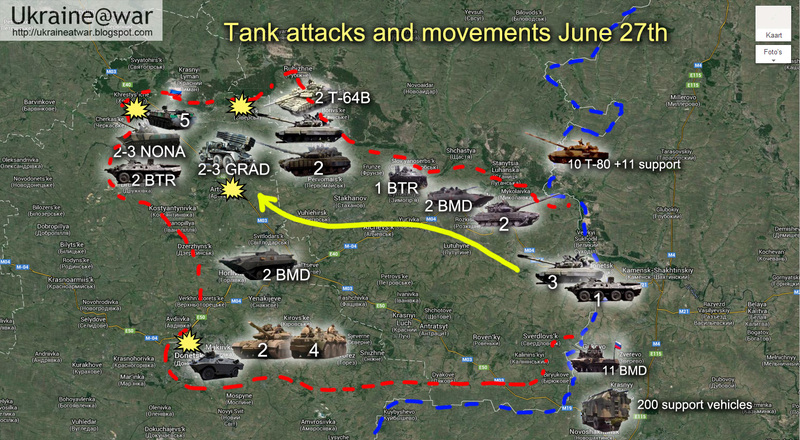 Also see: Overview of where all these tanks came from.